Fact: Who doesn't love babies?! Scarlet Snow wowed the crowd while playing the drums during her parents' welcome dinner cruise along the Seine River. This girl can legit do anything, no? Even through tears, Scarlet was such a trooper as she accomplished her flower girl duties. 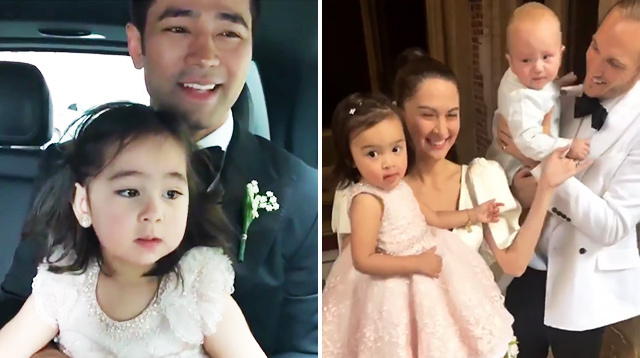 The crowd went cray when Baby Z stepped out of the American Church in Paris with her superstar parents Marian Rivera and Dingdong Dantes. But Baby Arch was all for greeting his fans! At less than a year old, Georgina Wilson and Arthur Burnand's little one already knows how to charm the crowd.